Write like you’re having a conversation with your reader and you’ll draw them into your message. 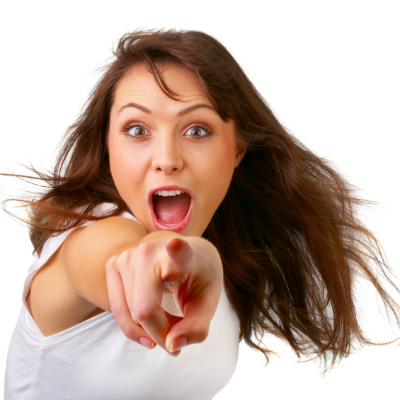 Use the words ‘you’ and ‘yours’ to make your marketing material more personal, and friendly. Many people who visit our museum bring their kids. Bring your kids to our museum. Do you see what I did there? Instead of talking to the masses, ‘people’, I worded it to be more personal, “Hey, you, bring your kids.” The first sentence, you are likely to skip over, the second one makes you pay attention. We are having a big hot tub sale this weekend. You could save 50% and be soaking in a hot tub tonight. Which ad are you likely to pay more attention to? If you use I or we, or your company name, too many times, it becomes all about you. As a reader, I don’t care about you, I care about me, and what you can do for me. Your readers are selfish. They want things easy, and fast. Think about how you read or view things. If it says you, do you pay more attention to it? When you scan the Internet, you are often looking for answers and solutions? Do you care how long our company has been in business, or that my grandfather started it? Or are you looking for those words that can help you with your need? Here are some examples to help you make your writing more focused on your target audience. Look at the before and after in each, then start thinking about how you can change your writing approach. Hello Fred, I enjoyed meeting you at the event. Hello Fred, You had some interesting viewpoints at the event. The first line is about you, and what you enjoyed. The second line is about Fred, and gives him a compliment. He’ll take better notice of that approach. Since 1798, the Lee Jones Co. has been making blankets of every color. These examples have been simplified, but I hope you get the point. If you have questions, or other examples, please feel free to post them in the comments below. Whatever marketing material you write, personalize your message with the word you. It will sound more conversational, and make your reader more interested. If you need help polishing up your content, or some coaching to improve your writing, please contact me, and I’ll make sure YOU are looked after.